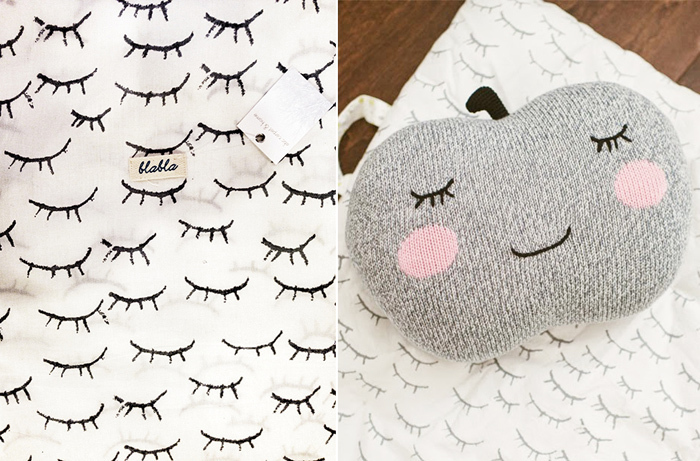 In kids' garments and kids' deco I spot many graphic patterns with : Sleepy and Open eyes. I can’t tell you, who was originally there…but we can just enjoy it, right? 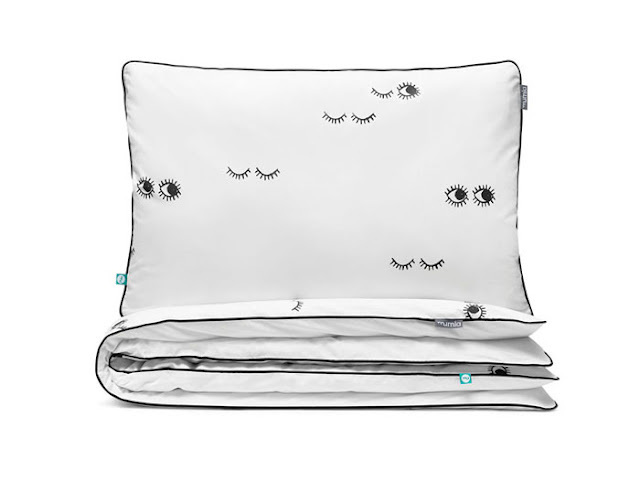 I really like Sleepy eyes pattern on bedding and pillows. 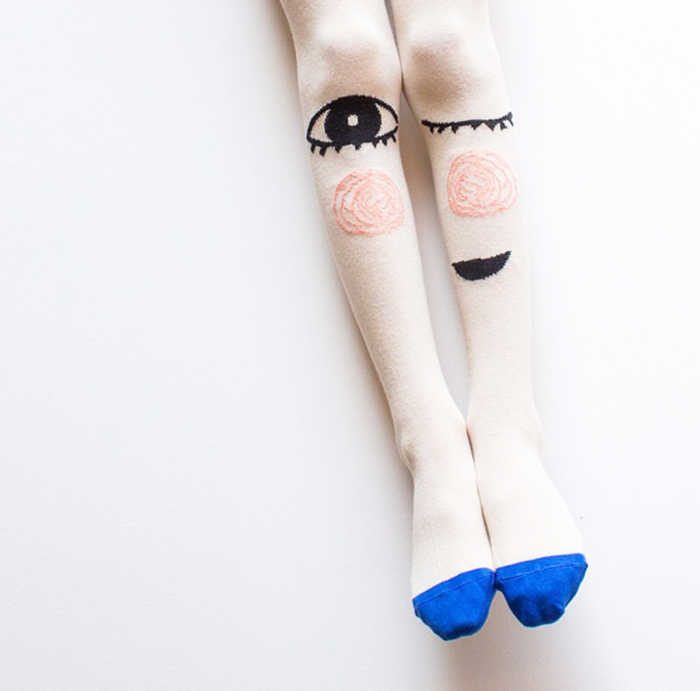 Perfect match, don’t you think? 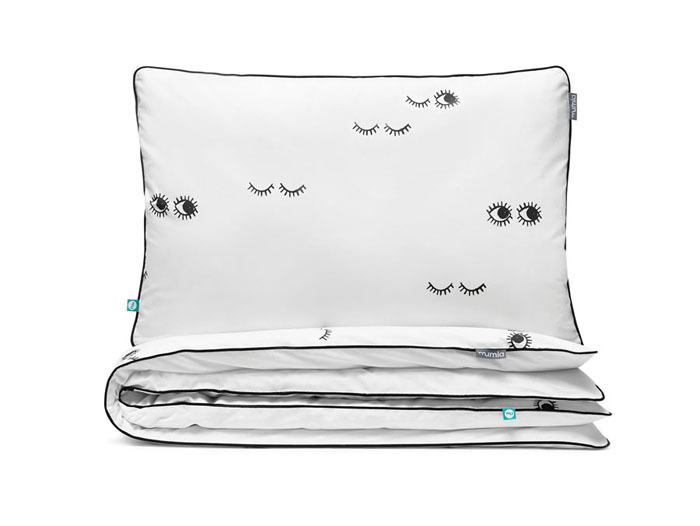 That’s why we have a beautiful new design added to Rafa-kids collection : These Sleepy eyes bedding set. 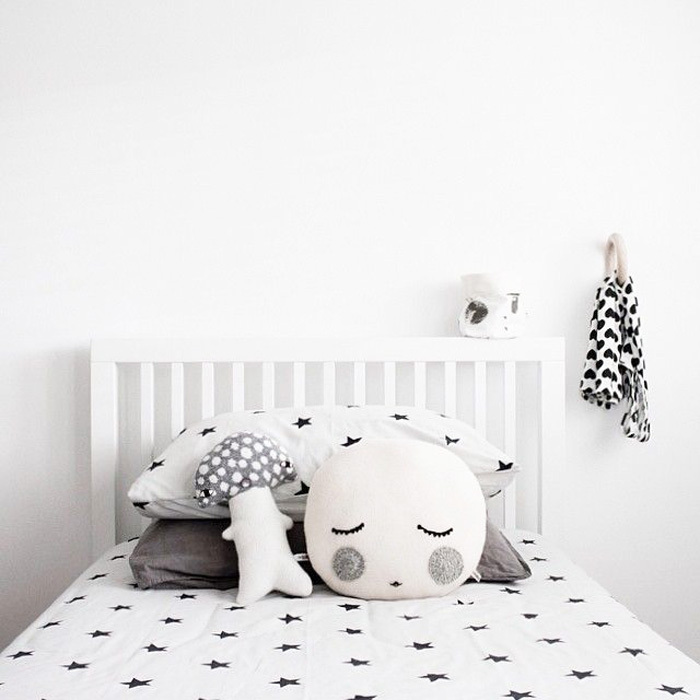 I’m a fan of little Good night cushion, from Studiomeez for ages, but it seems that the designer doesn’t make it any more….This beautiful Bla Bla pillow on the other hand, will be available in Rafa-kids bedding and blankets collection very soon! How exiting! The story of this S shelf started in our own son’s room. 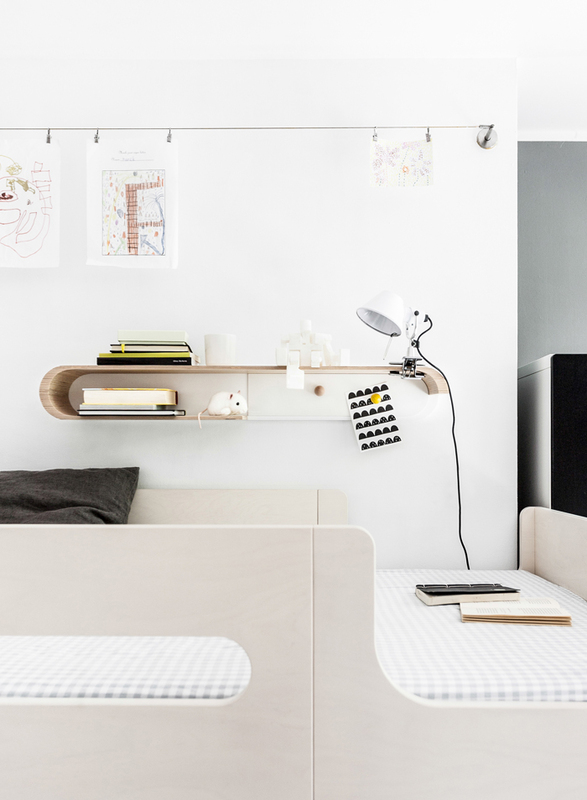 He has Rafa-kids F bunk bed and he loves to read, especially in bed! After finishing his books, he was most of the time, just trowing them away on the floor! Can you believe? There was also no place to put his lamp. So we thought, we really need to do something. 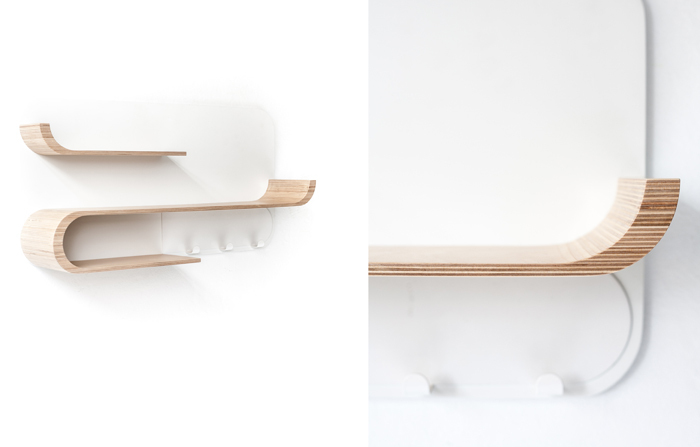 The first prototype shelf was designed for him. 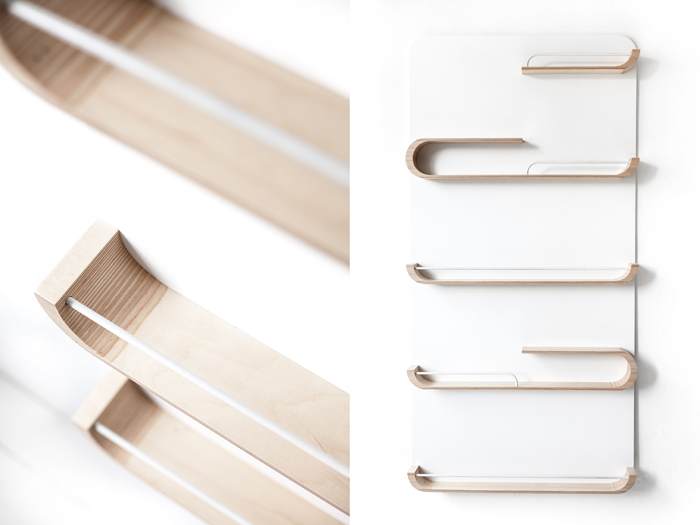 We were inspired by the details of K desk which we wanted to use in the new design. 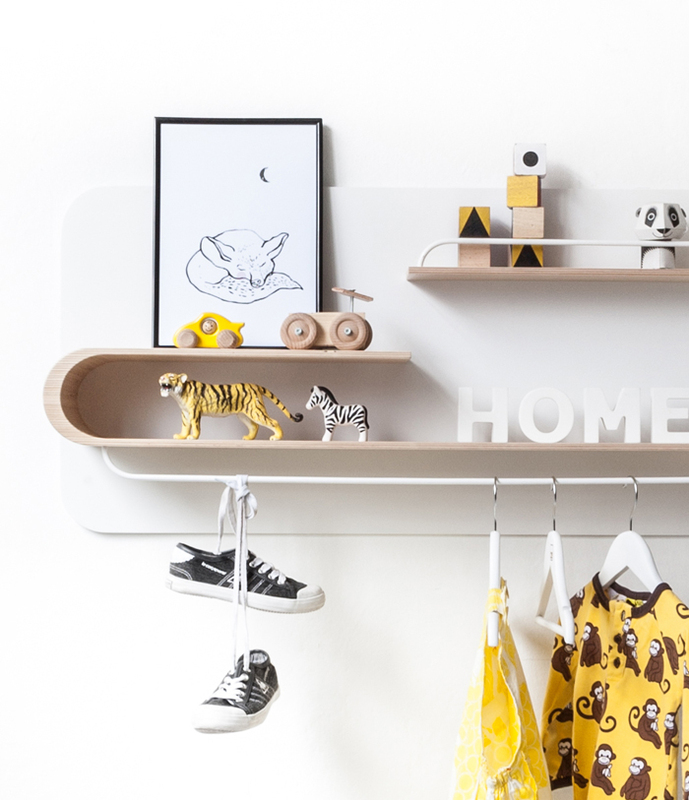 Then, we realised, that this beautiful shelf has to be part of Rafa-kids collection, and that actually - we should design more shelves…. all new ones M , L , XL . Happy weekend! We have a birthday party for 9 years old in planning! 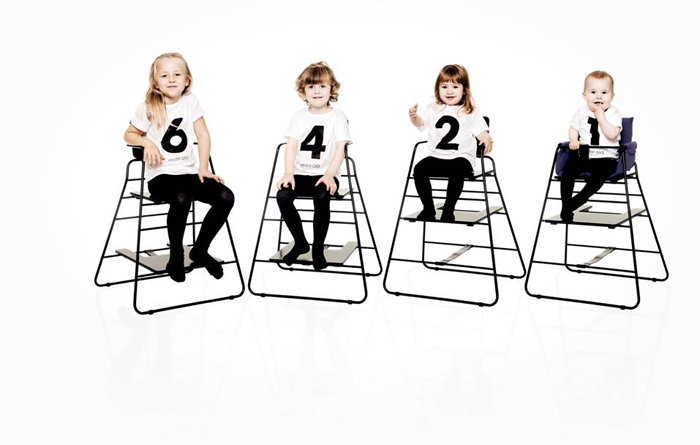 Welcome our new Rafa-kids M shelf. 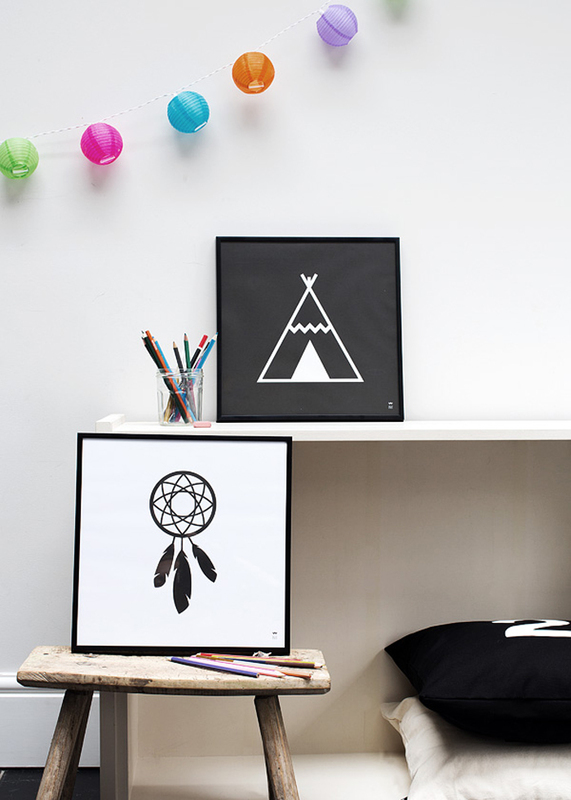 What are your children favourite treasuries? 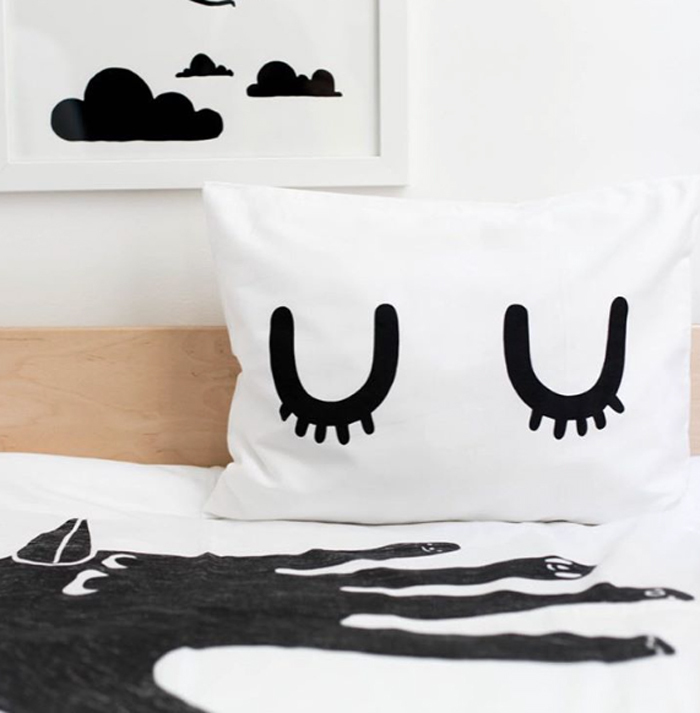 Would you like to give them a special place in a room ? Well, we have something for you to play with. 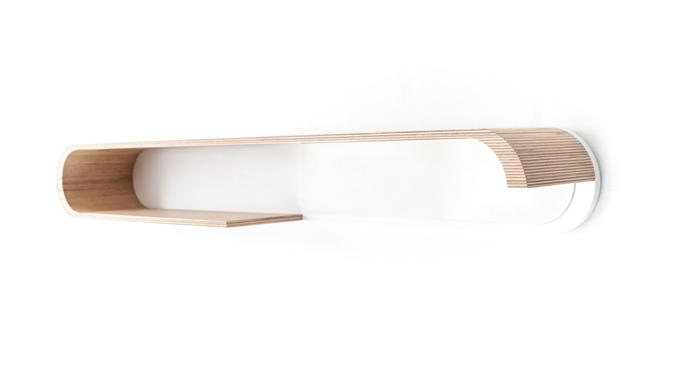 Unique and functional shelf with curved wooden details. 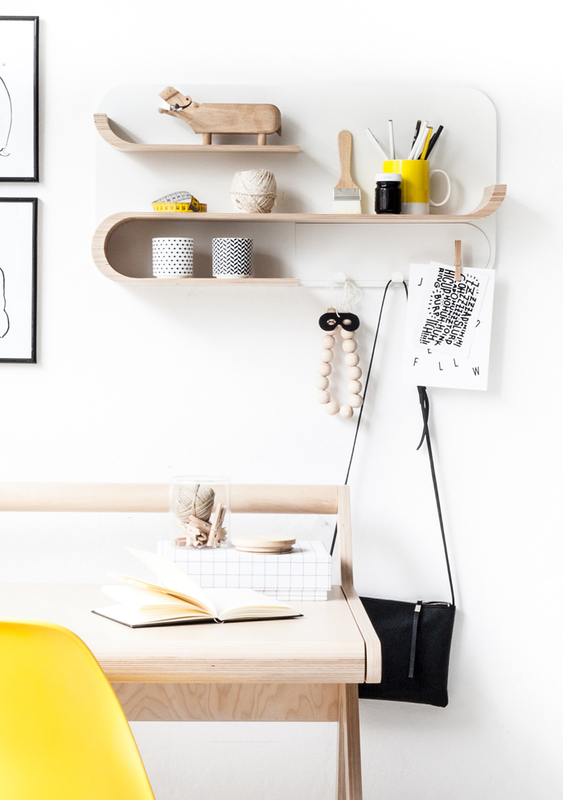 This time we added a metal plate with 3 metal hangers to the shelf, so it is easy to hang a backpack, jacket or some little accessories - just imagine all the possibilities to use it ! 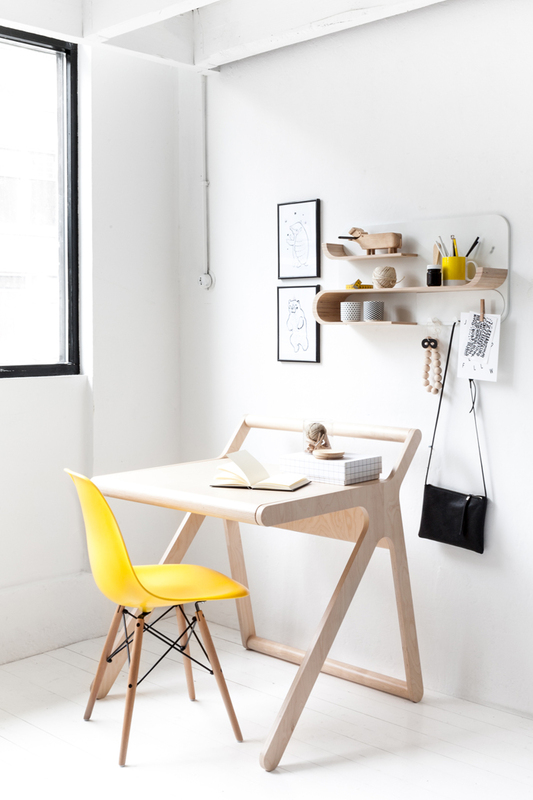 M shelf is a perfect addition to our K desk. 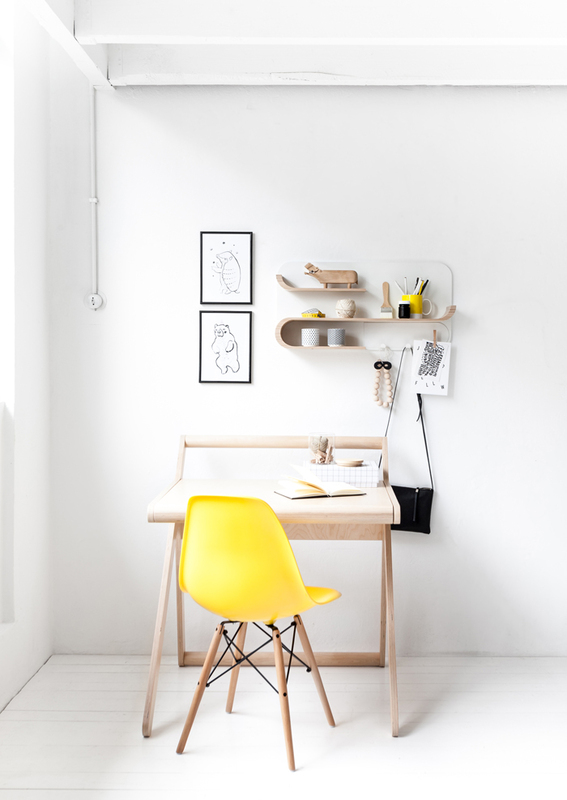 It creates a practical working corner for your child or for yourself. We still have one more shelf to show you, which is our Rafa-kids favourite! See you tomorrow! 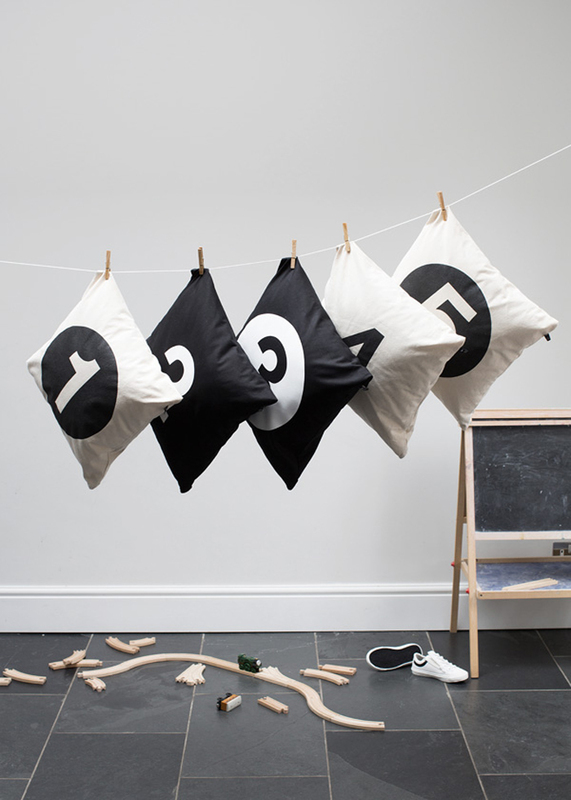 Today we are taking a little break from Rafa-kids’ new shelves collection….we go Tinny Cottons! 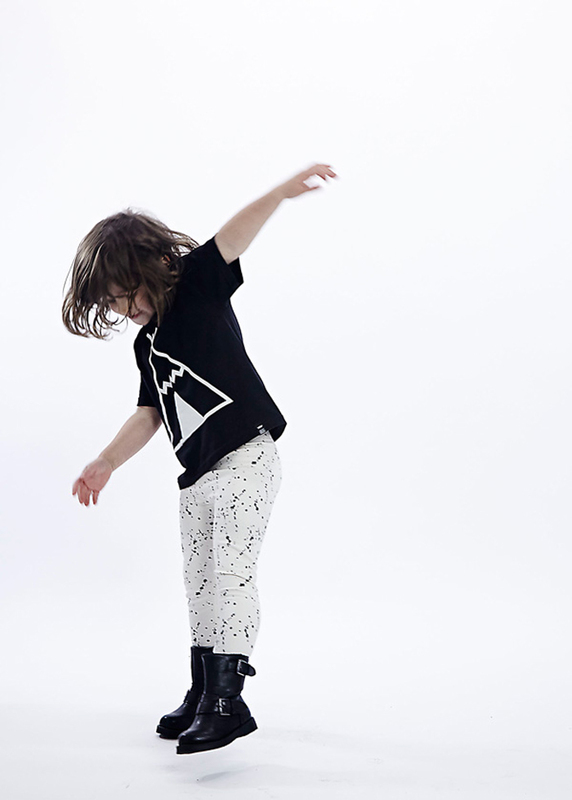 I know I hardly ever show children’s fashion on Rafa-kids blog, but I have at the moment a big crash on Tinycottons. 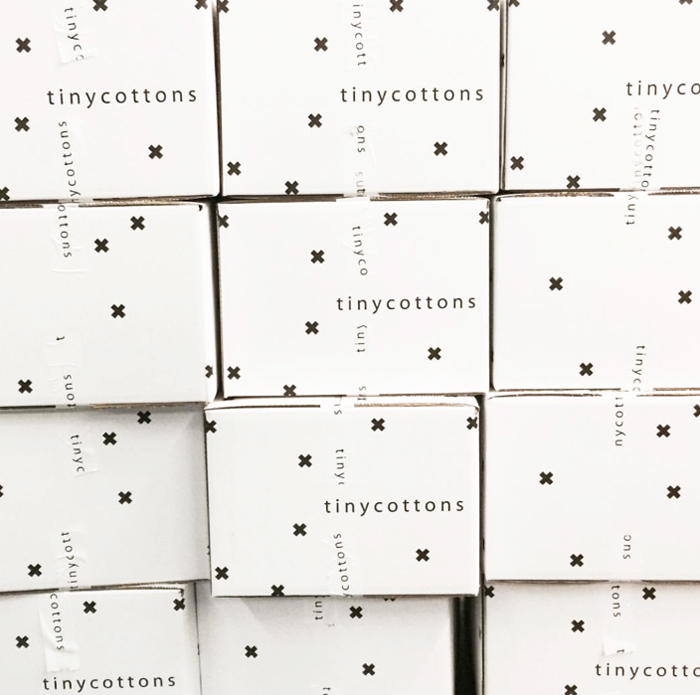 I need to tell you that Tinycottons instagram account is a trap! 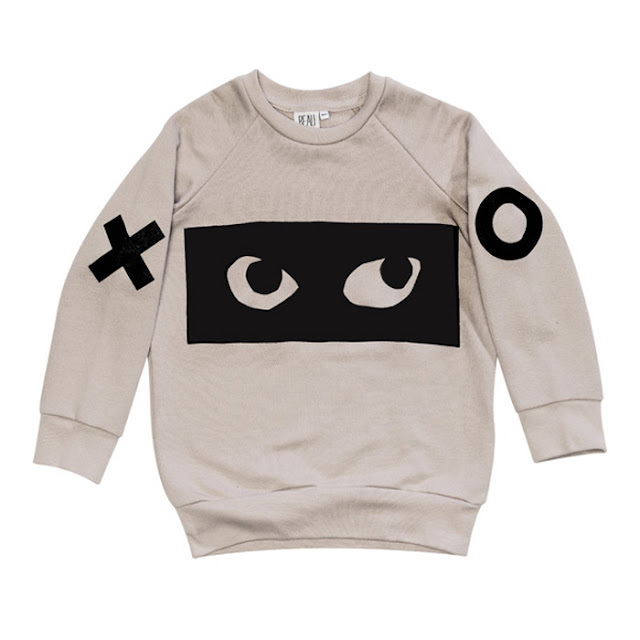 I think it’s one of the most refreshing and playful kids’ brand I know at the moment. 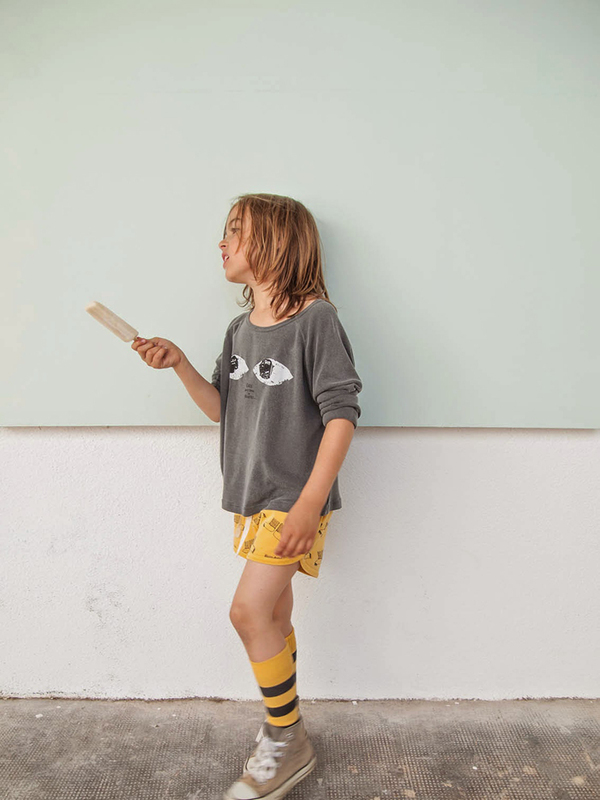 Unique, high quality garments for the little ones - ohh and the socks! 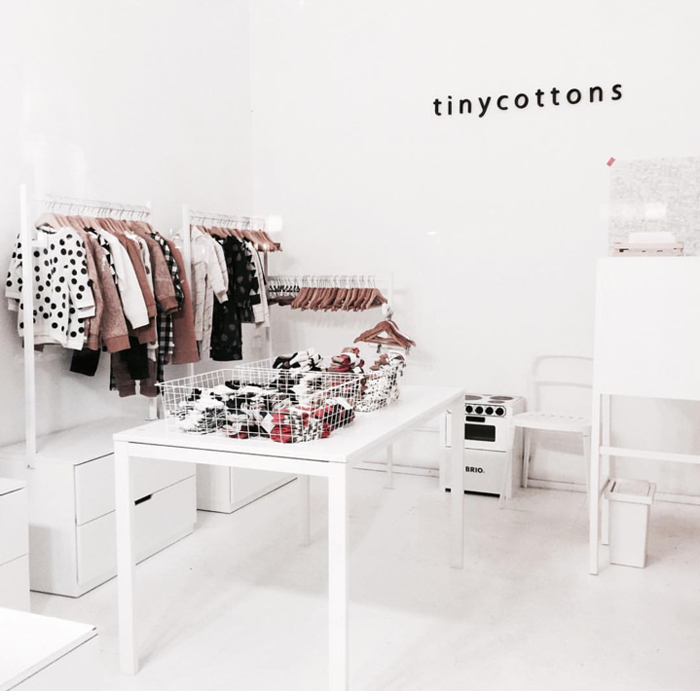 Tinycottons was founded in 2012 in Barcelona. 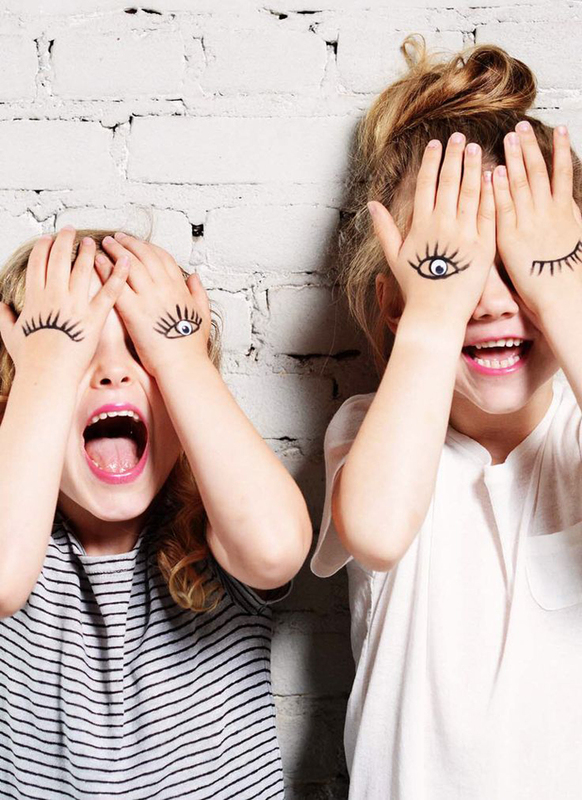 After presenting their first collection one year later, they quickly become well known in kids’ fashion world with list of more than 300 retailers worldwide. 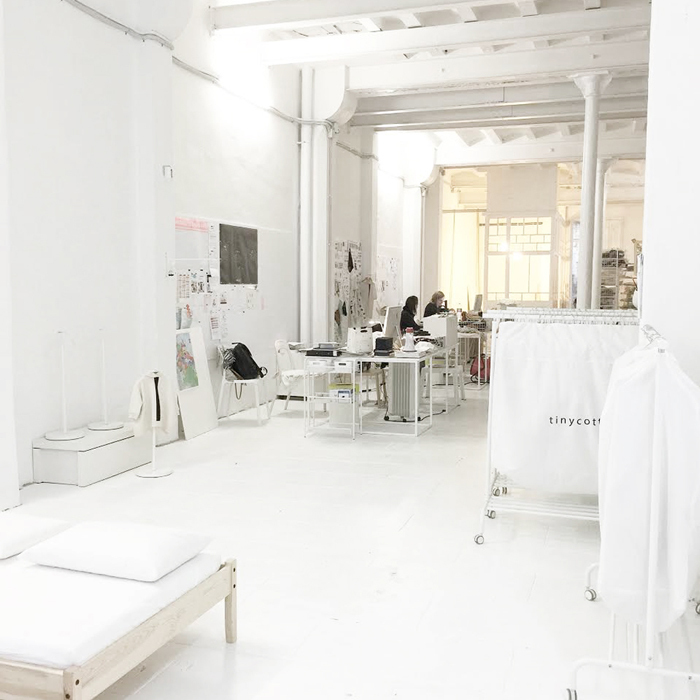 Their own concept store is based in Barcelona at Rambla Catalunya 31. 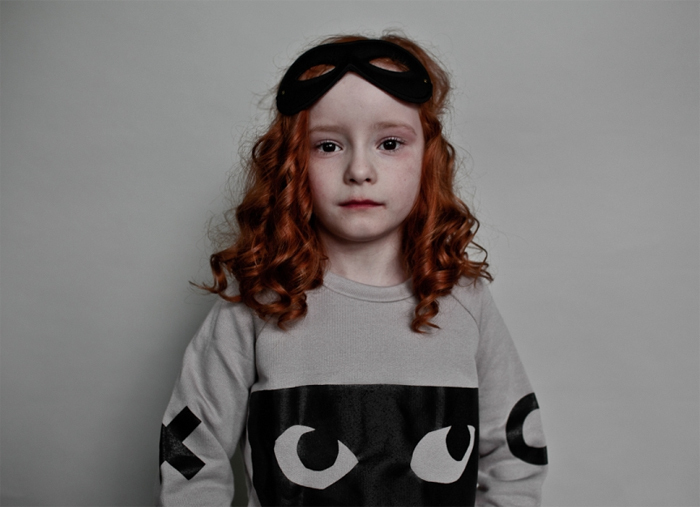 “ …As a creative team we wish to be as imaginative as our kids and have their one and only, bold and not so serious attitude. 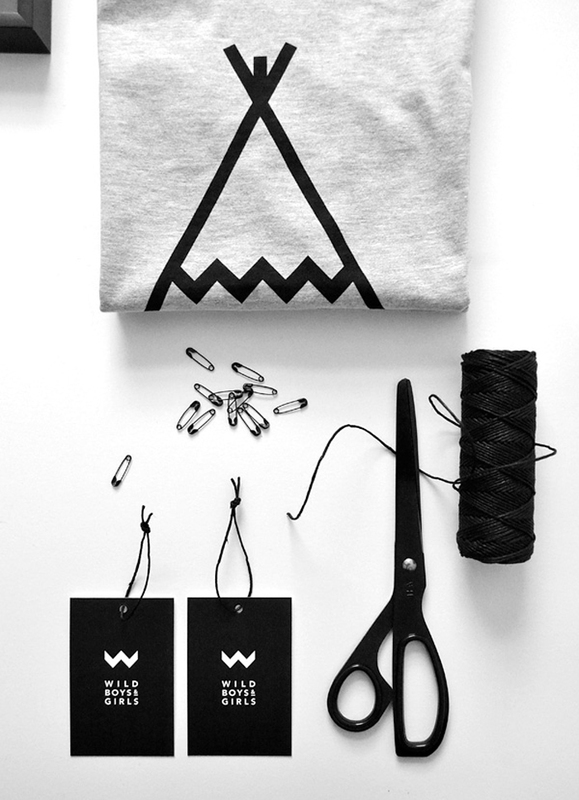 As a clothing brand we want to create a good, long lasting product and at the same time you kids' favourites ! “ Do I need to explain more ? 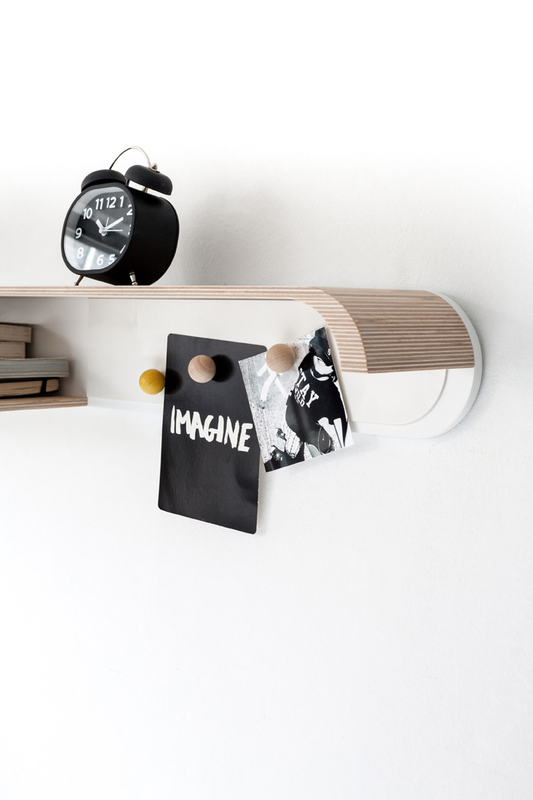 We designed this shelf with aim that it would grow with the needs of your child. At the beginning it could be used in a baby nursery above a commode. 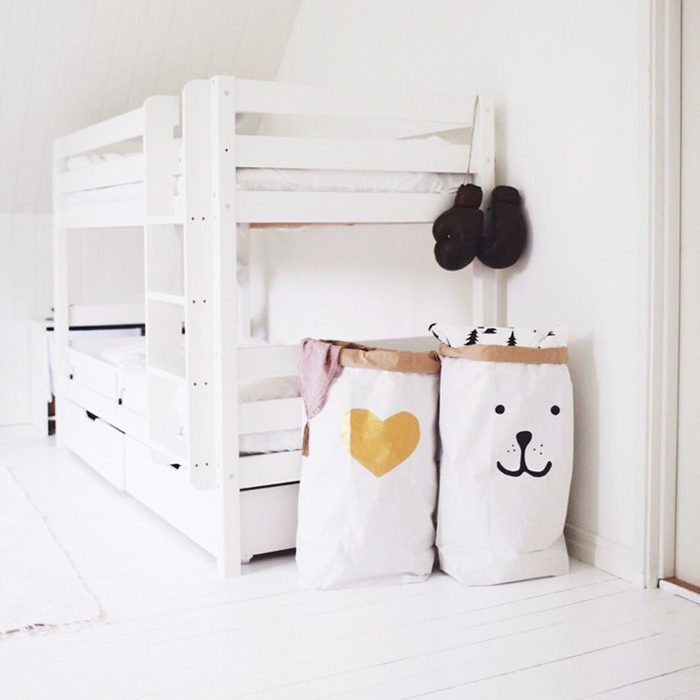 You can storage the necessary accessories on it and display special baby clothes. 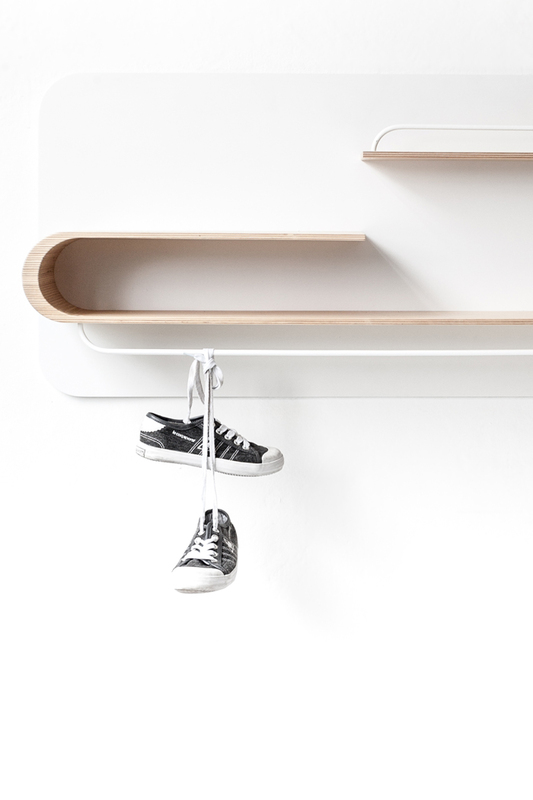 The shelf is deeper than our other shelves XL, M and S, so that you could even put little shoes on it for example. 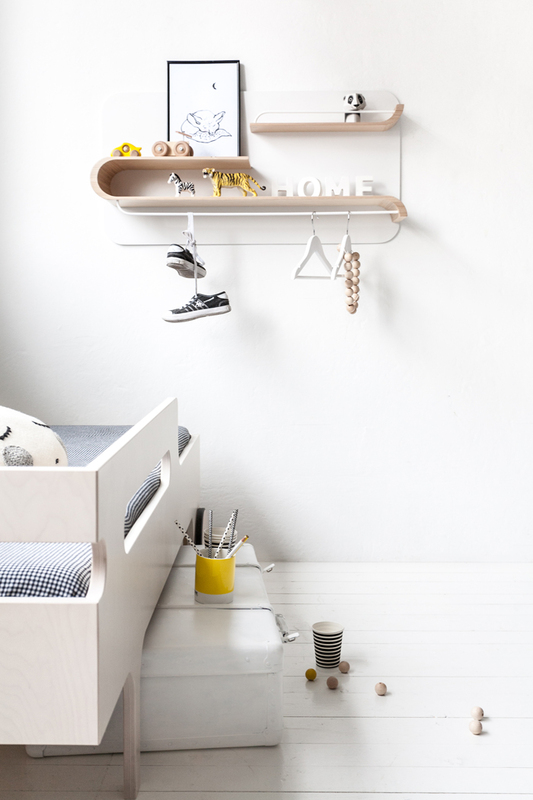 In a toddler’s room, L shelf would be a great help to display little toys and favourite wardrobe garments. 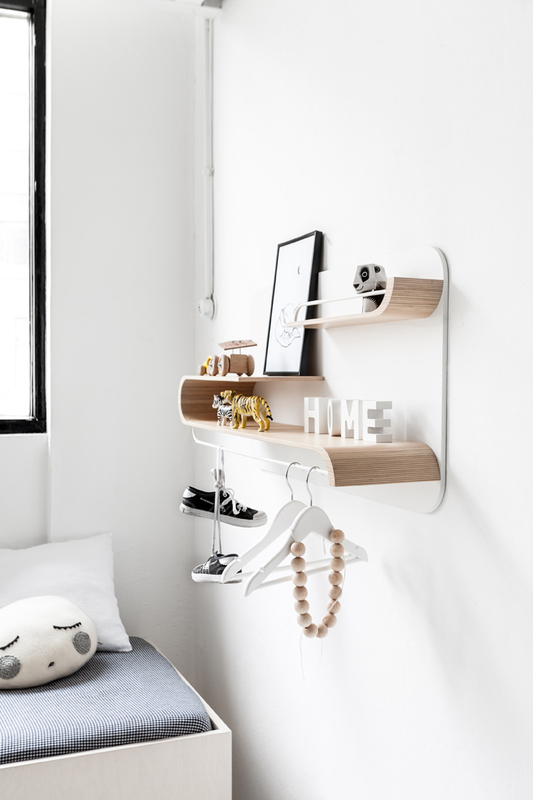 The L shelf is a functional and beautiful addition to our Rafa-kids collection. 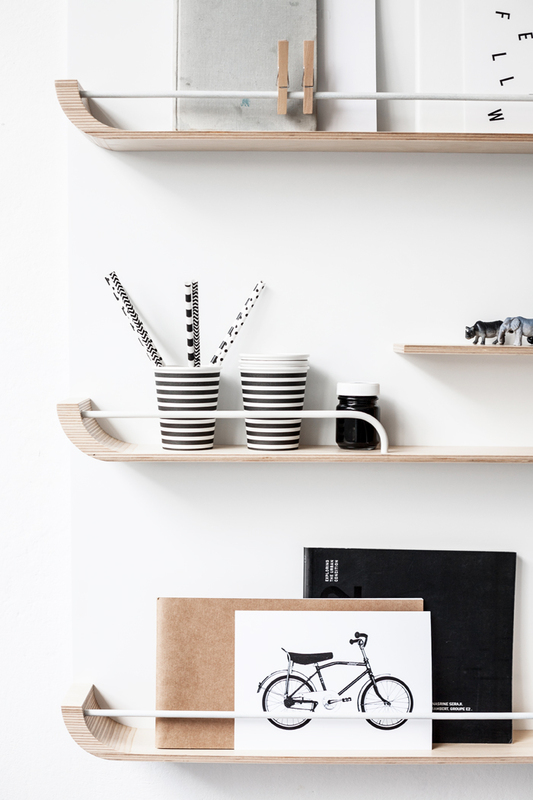 Like the other shelves, this one is also made from first class Finnish Birch plywood with metal elements. Powder coated steel rod is designed for hangers or clips. 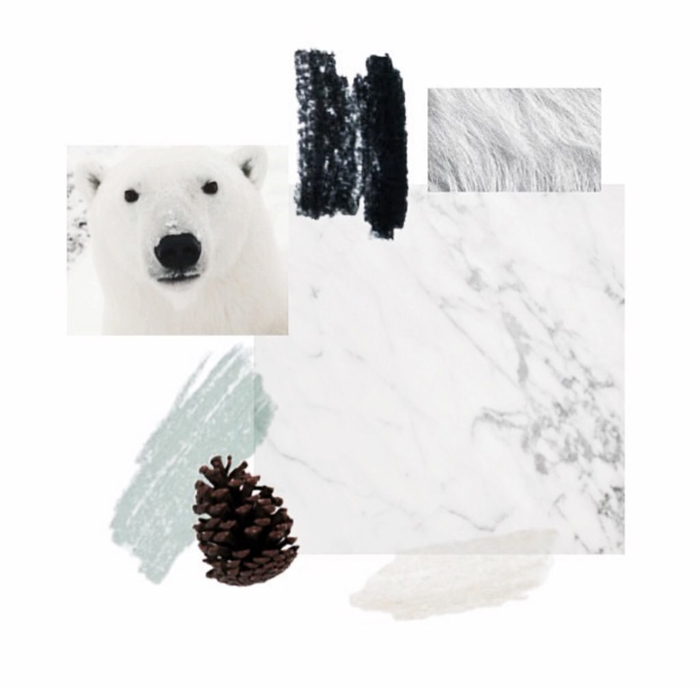 To make it even more playful we will introduce a choice of colours to these metal element to be combined with the L shelf in natural birch or full white finish. We hope you like it as much we do! 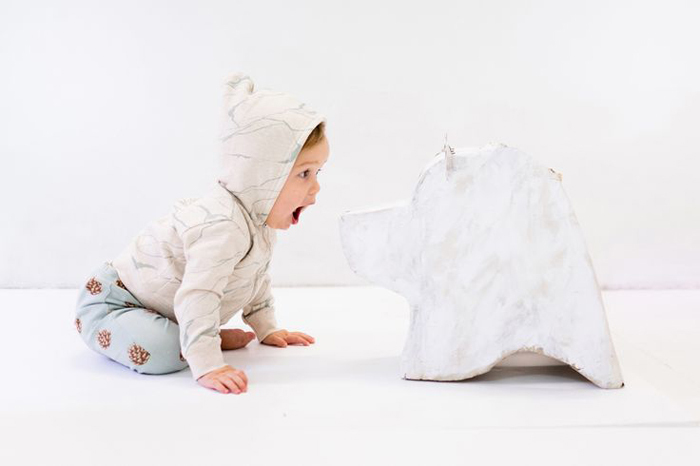 We are so exited to finally show you the Rafa-kids’ new designs! but now is the time to make it official. new member of Rafa-kids collection. 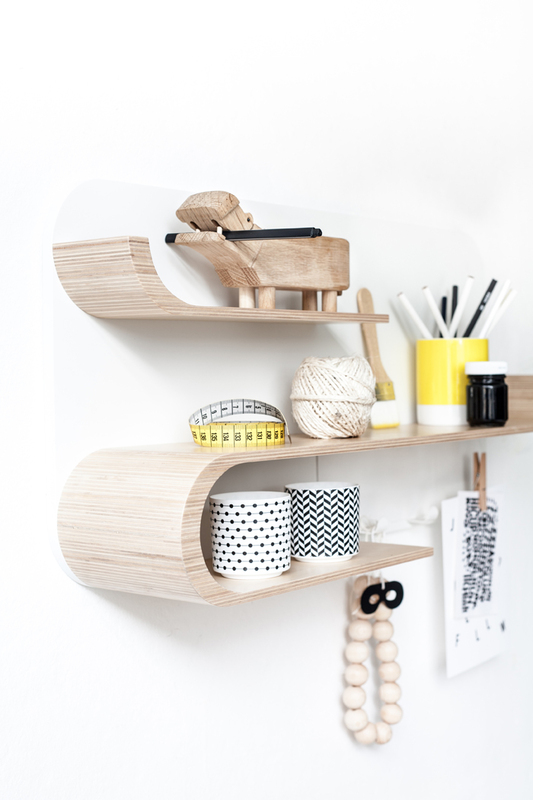 The shelf is made from first class Finnish Birch plywood. 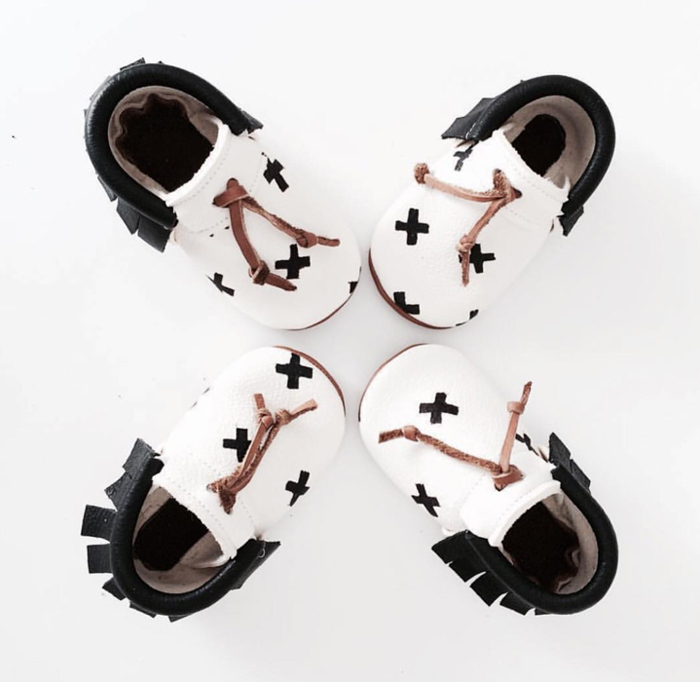 New for Rafa-kids is use of metal. 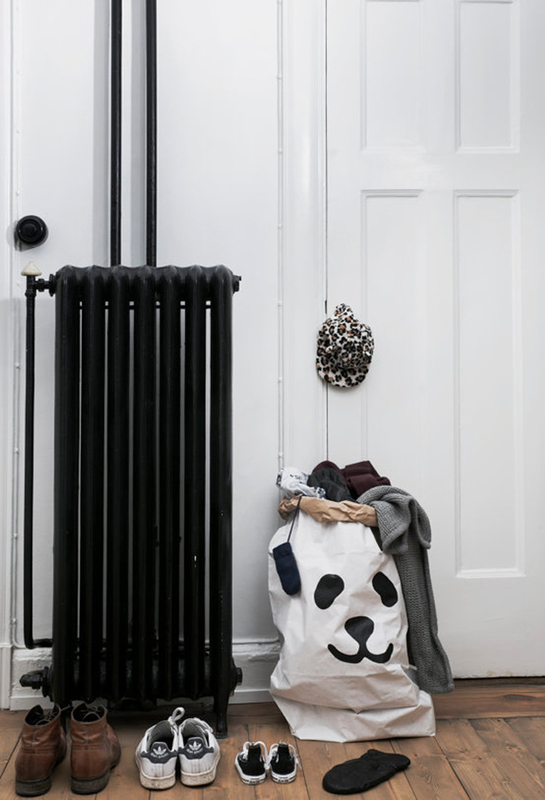 Powder coated steel rods will keep your collections well in place and beautifully displayed. 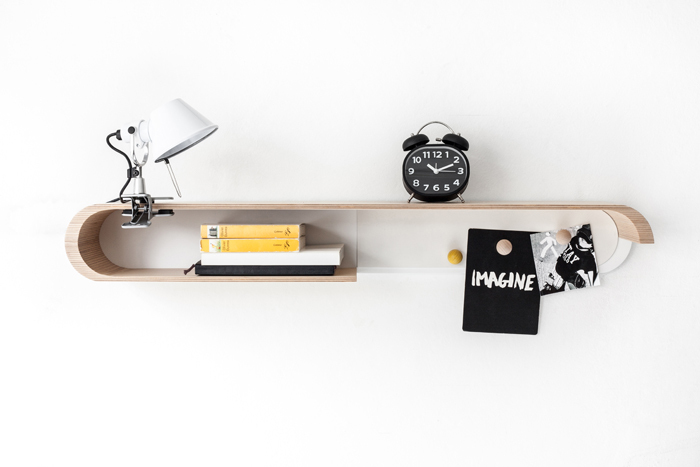 To make it even more playful we will introduce a choice of color to these metal elements to be combined with the XL shelf in natural birch or full white finish. Thank you knuffelsalacarte for loaning us the cute animals. 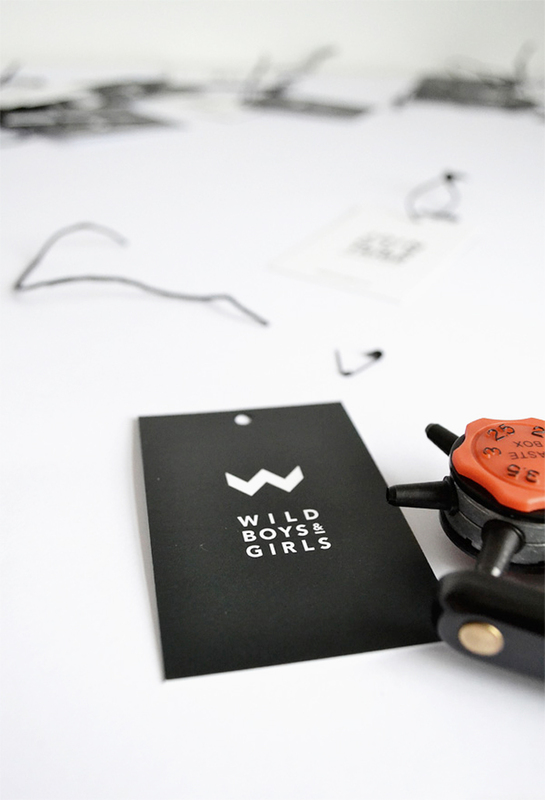 You can read on her blog wild-boys-girls-a-new-kids-brand all the story about the process, her struggles and ambitions! I can only say, congratulations Anna, I hope this is just a beginning of a great journey! One of the positive aspects of attending the M&O in Paris is chance to meet other great brands. 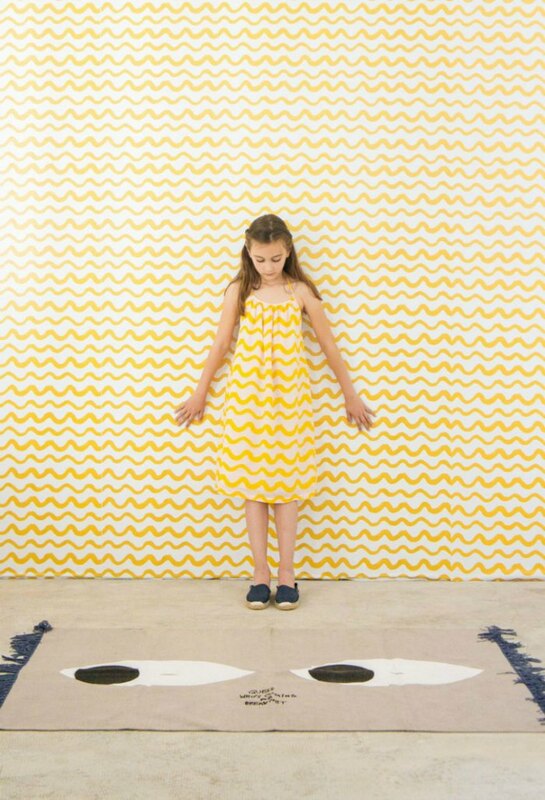 BudtzBendix and Tellkido were presenting their collection in the same Hall 6 als Rafa-kids. I had a chance to step by and say hallo, even chat a bit. Since I haven’t show you these two brands before, now it is a reall must! 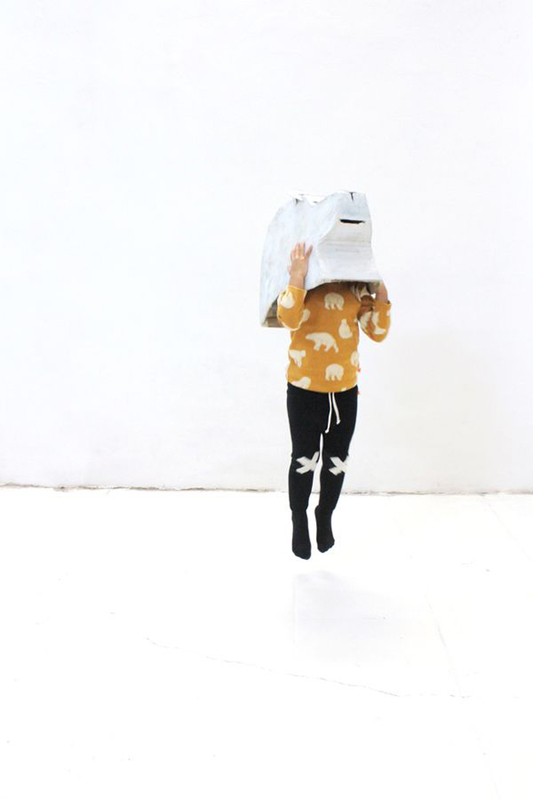 BudtzBendix is created by Charlote Budtz and Camille Bendix, two architects from Copenhagen . 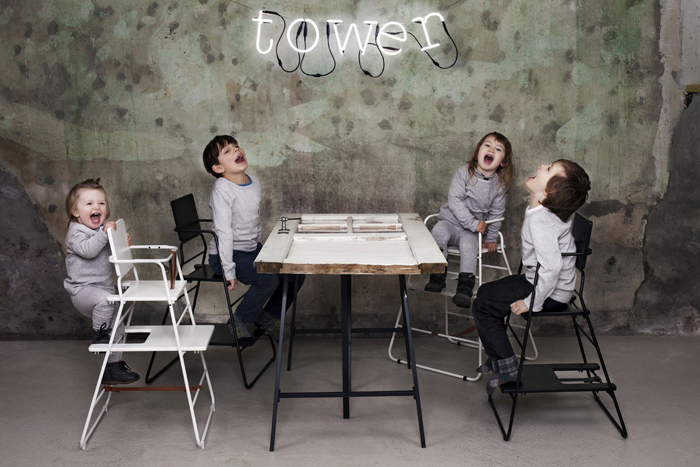 The Towerchair for kids is their iconic design. Very unique shape, functional and smart, you will not find anything like that on the market! If you have not been following Tellkido on instagram already, I would be suprised. 34.000 fans, speaks for itself. It’s one of the most personal, friendly accounts I know. 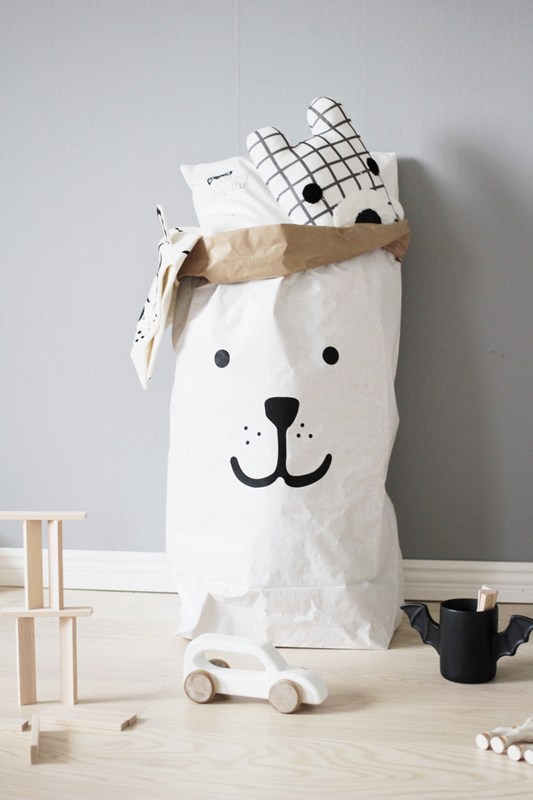 Do you need a simple, stylish paper bag to store all the kid's toys? Well, here it is.